This sturdy brick ranch exudes charm and boasts a prime location. 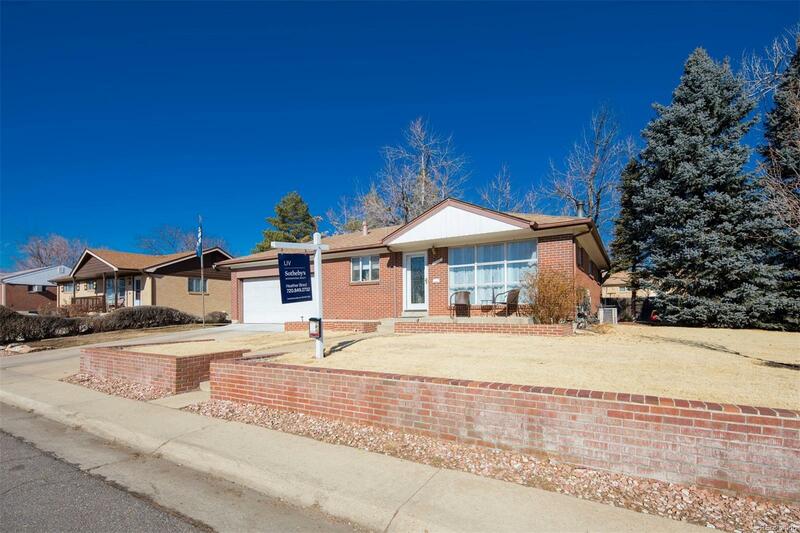 Centrally situated between Denver and Boulder close to I-25 and 104th in Northglenn, the charming 3-bedroom home is within walking distance to numerous neighborhood parks, Leroy Drive Elementary School and shopping centers. Recent updates include new flooring in the kitchen, family room, hallways and stairs; beautifully renovated bathrooms give this classic property a fresh new look. The kitchen boasts newer appliances, and an eating nook opening to the welcoming sun-drenched family room. The finished basement offers a quiet home office and a sports bar perfect for enjoying game day! The spacious 2-car garage fits a large pickup truck and provides ample storage space. One of the crowning features of this property is the large well-maintained yard in both the front and back of the home dotted with grand mature trees, countless flower beds and a rare 3-sided enclosed patio providing the perfect escape right at home.